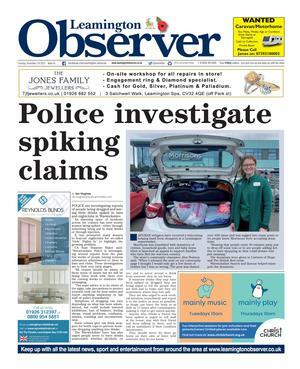 PCSO Julie Wright, David Rischmiller, the Community Safety Partnership's project officer, and PC Anna Harding. Picture by Tristan Harris. 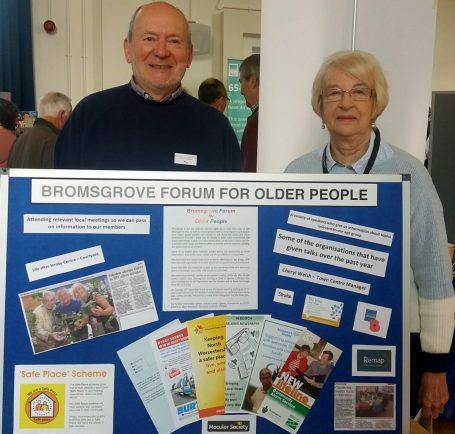 Roy Rowlands and Carole Tipping from Bromsgrove's Older People's Forum. Picture by Tristan Harris. 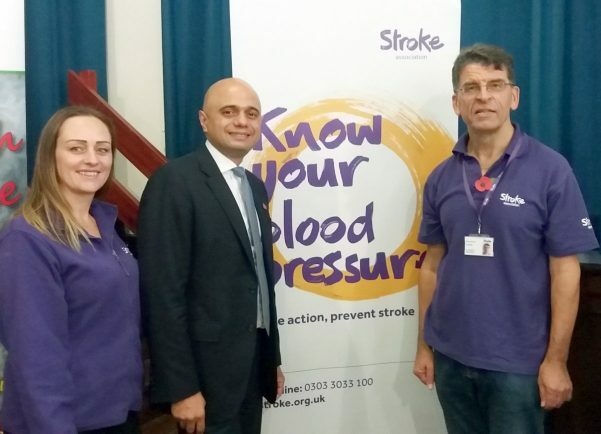 Jody Drust, the Stroke Association's community development partnership officer, MP Sajid Javid and volunteer David Harvey. Picture by Tristan Harris. Keith Godwin from the Bromsgrove Lions with the Message in a Bottle. Picture by Tristan Harris. 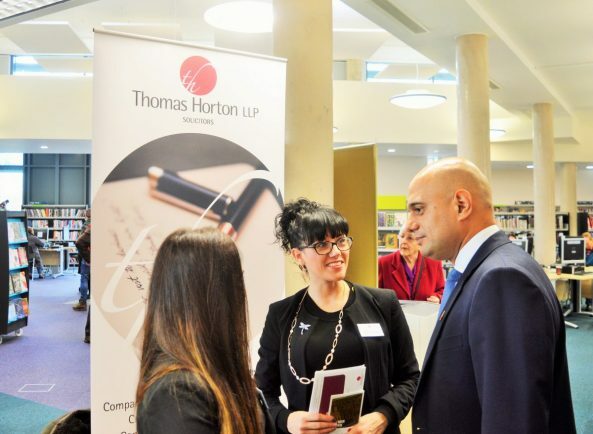 Sajid Javid held his Pensioners Advice Fair. Picture by Tristan Harris. 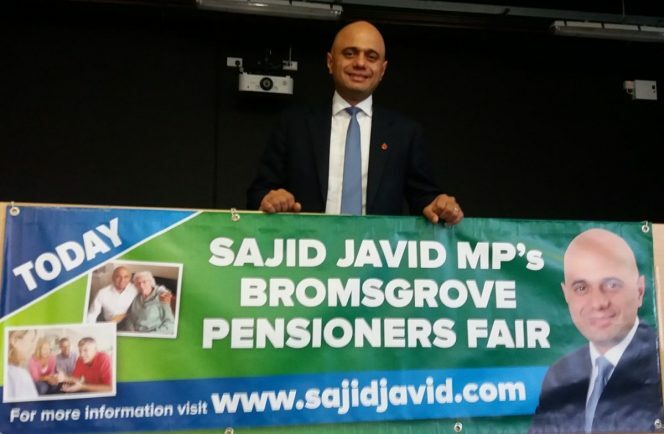 THE SECOND Bromsgrove Pensioners’ Advice Fair organised by town MP Sajid Javid was held at Parkside last Friday. 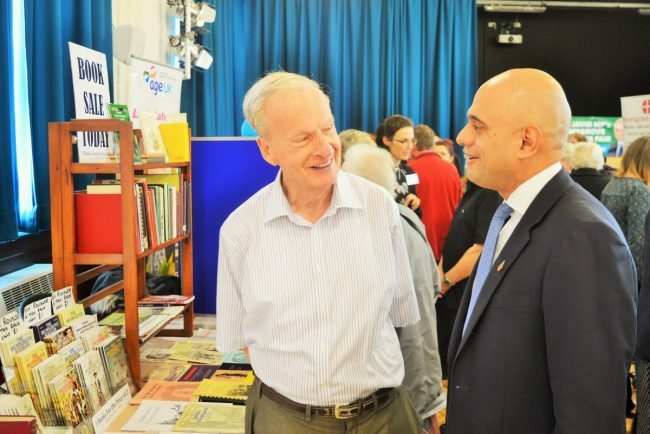 Around 500 visitors attended the event to find out more about the services and activities on offer to older people across the district. 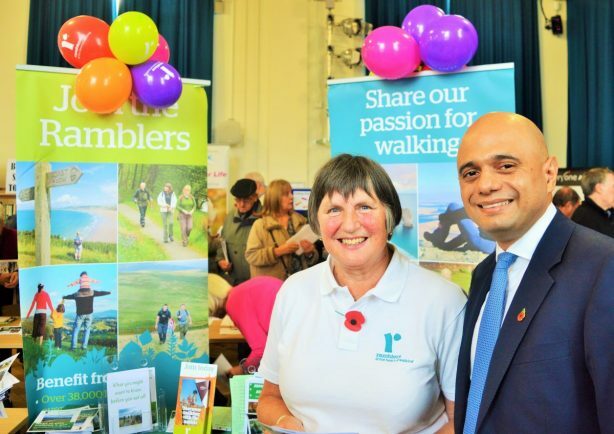 There were 55 stalls from a number of organisations, including the Stroke Association, the Bromsgrove Lions, West Mercia Police, AgeUK, Sight Concern, the town’s Older People’s Forum, the Bromsgrove Society, Bromsgrove Royal British Legion and more. 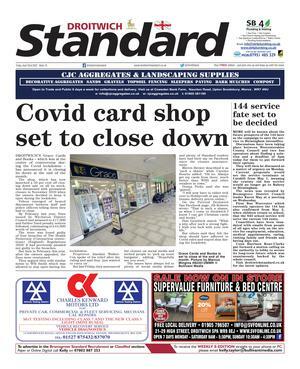 Age UK promoted a variety of support services, including the Men in Shed and a computer group. The Stroke Association representatives took people’s blood pressure which is the main cause of stroke. 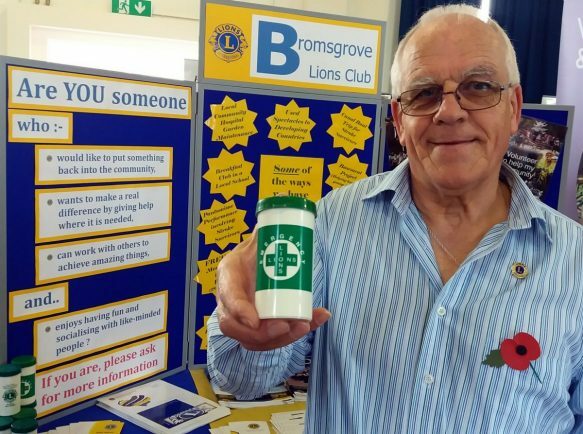 Bromsgrove Lions promoted the ‘Message in a Bottle’ scheme where older people put their prescriptions in a container in fridge and a sticker on their window to let the emergency seervices know where they can find information about the medication they are on when needed. 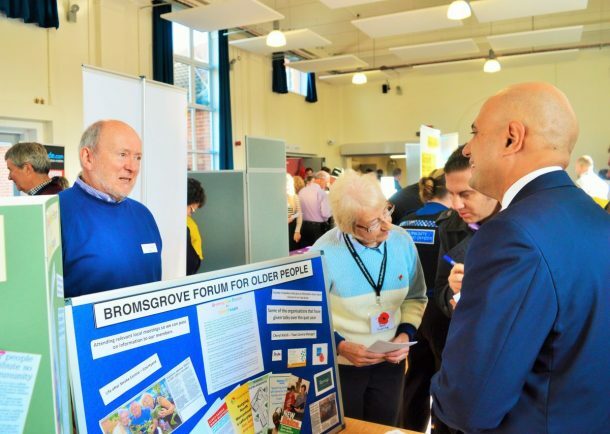 Keith Godwin, from the Lions, said: “You don’t realise how many different organisations there are operating in the Bromsgrove community. 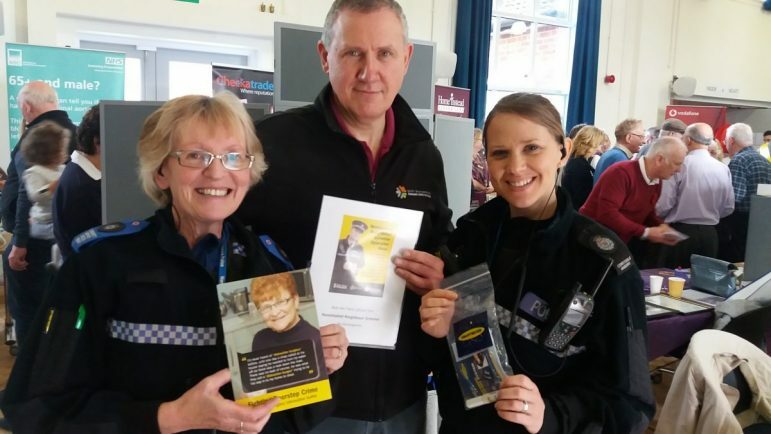 West Mercia Police officers highlighted a number of schemes the force was running for people to reduce their chances of becoming a victim of crime. 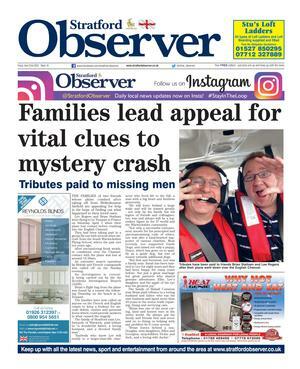 Among them were the nominated neighbour scheme, property marking, the importance of making sure homes looked occupied when people were out, especially now when it gets darker earlier. Sight Concern was there for anyone with vision problems from macular degeneration to glaucoma. 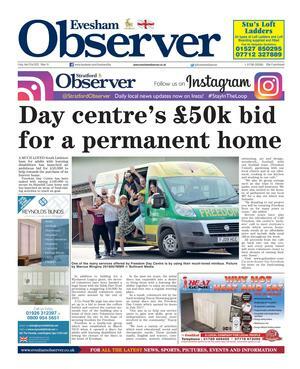 Helen Beardes from the charity said: “We can go out to residents’ homes and make sure they have everything they need to help make their daily lives easier. Sight Concern also holds a peer support group every Thursday at Bromsgrove Methodist Centre. 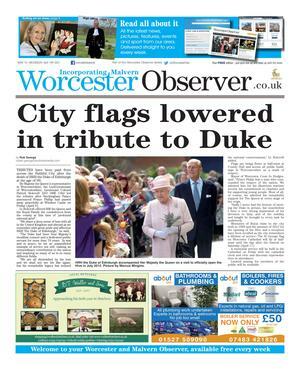 There was also positive feedback from visitors to the fair. 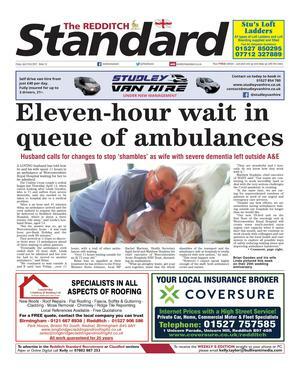 One said: “I am so impressed by this Pensioners Advice Day – what helpful people. 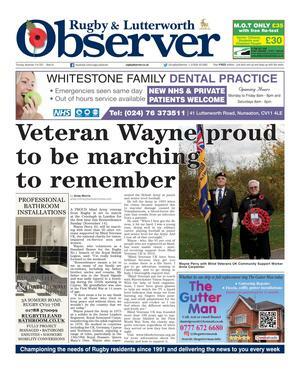 And another person said: “An excellent event for the local community. “A wide range of relevant organisations available to provide information. 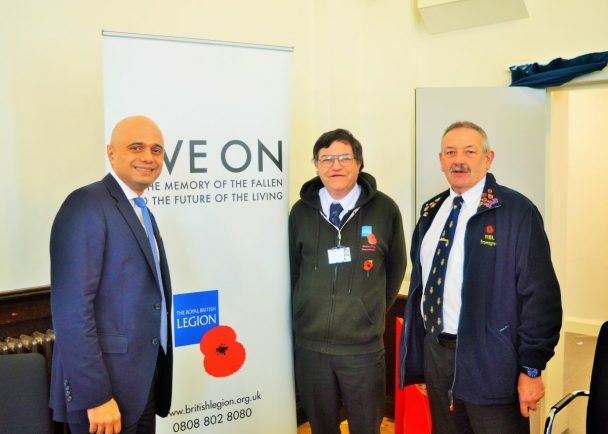 Mr Javid said: “It’s one of those things that I can do for the community that is non-political. “It’s great to see so many people come along, have a coffee and a chat and learn about things that will be able to help them in their lives. 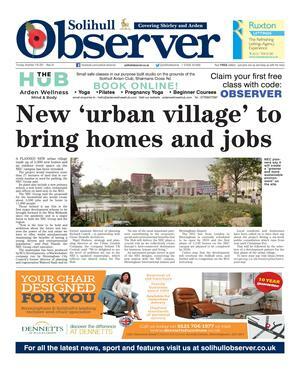 “It’s also fantastic to see so many local organisations showcasing what they do. 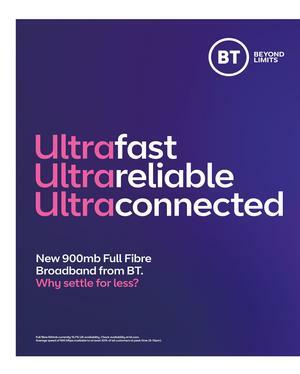 “The turnout shows how popular it is and what a benefit it is.